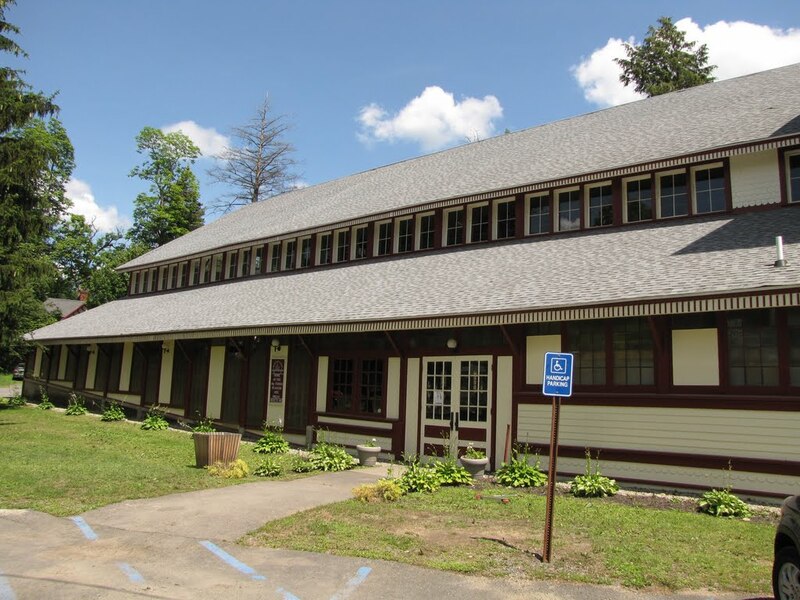 In 1868, Round Lake, NY began as a “camp meeting” town, with as many as 20,000 gathering to hear rousing summer sermons. 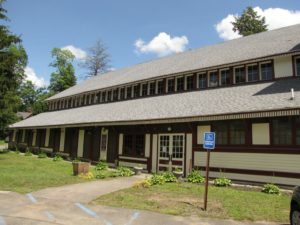 By the late 1800s, the town evolved into a Chautauqua-styled educational resort, complete with hotels, museums, and lecture halls. Its literal and figurative center was the Auditorium. 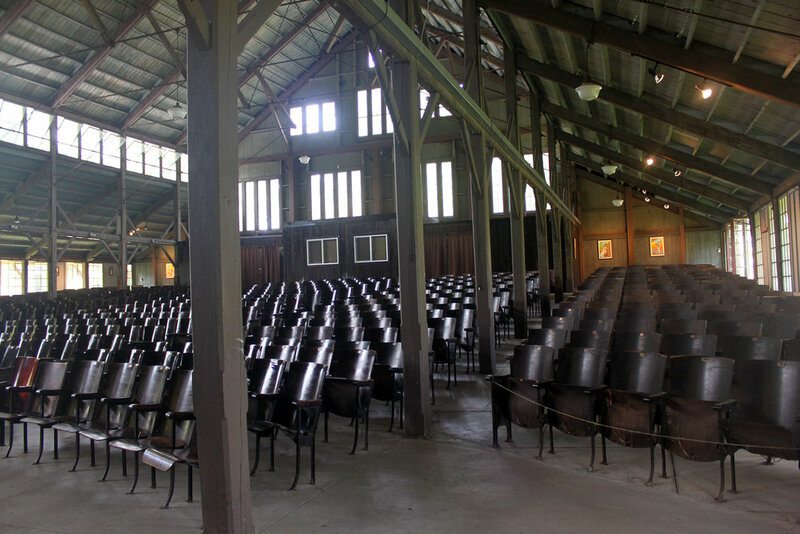 From a rough platform in a tree grove, it grew to an open-sided building with canvas flaps, and, in 1912, to the glass-enclosed pavilion we see today. Falling into ruin by the 1950s and nearly bulldozed, the Auditorium is now lovingly restored with modern amenities, creating a cultural venue of rustic architectural beauty. The Auditorium’s crown jewel is a Gothic Revival-cased Tracker organ. Built in 1847 and moved to Round Lake in 1888, the 1900-pipe organ is the oldest and largest of its kind in the United States, and currently under consideration for National Landmark status. The Round Lake Auditorium continues its summer tradition with a full range of cultural offerings. 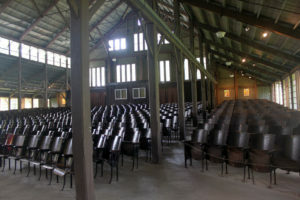 Concerts, performances, art shows, and social activities grace the 450-seat space, from June through August. Intimate in ambience but large enough to attract significant programming, the Auditorium is a unique, historic back for any event… and a worthwhile stop on any Capital Region tour.